Meet Almost Owen, the Singing Drummer From Boston! Today I would like to introduce you to songwriter and producer Almost Owen, the singing drummer who releases new music in Boston regularly. **This conversation is sponsored by sponsored by JZ Social Enterprises. I am a child of the 80’s and I am ok admitting that I spent an entire summer watching and re-watching the movie Annie. On VHS. Ok, maybe I stopped watching to eat and go outside occasionally, but I think it’s pretty safe to say that I watched it at least 500 times that summer. I had the story line down pat and knew every word to every song. I even went out trick or treating as Annie that year (which reminds me that I need to go through some old photos and dig that one out). I know that the movie has been remade a few times since the one in the 80’s that I loved so much, but I am loyal to the version I watched so many times that summer. 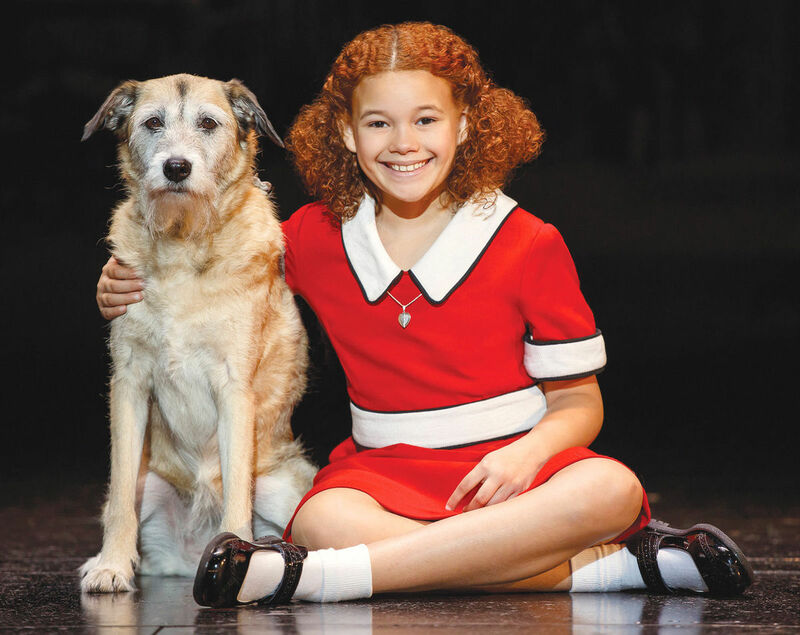 So now you know that I am a self-proclaimed expert on all things Annie, imagine how giddy I was when I got invited to see the live musical at the Boch Center (Wang Theater) in Boston last week. Culinary Fight Club is a National Food Sport Organization. They produce live cooking competitions to highlight local Culinary Talent, ingredients and resources. 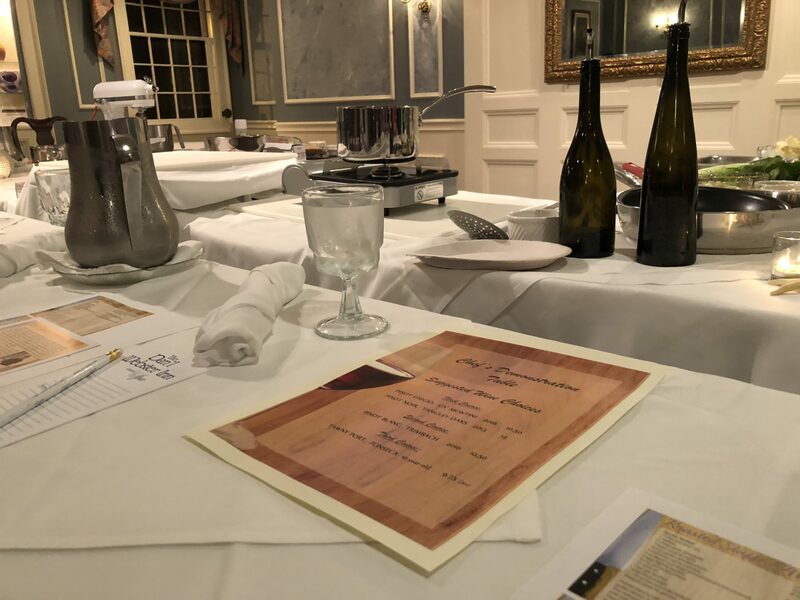 Culinary Fight Club competitions take place in Chicago, Omaha, New Orleans, Cincinnati, Boston, Knoxville, Johnson City, Pittsburgh, Virginia Beach, Charlotte, Twin Cities, Kansas City, Montgomery, Charlotte, Charleston, Indianapolis, Atlanta, Los Angeles and now Boston! I was invited to attend the inaugural Boston event and it was such a fun experience. The Chefs Competing in Boston’s First Culinary Fight Club Event. Blue Man Group Celebrates Their 25th Anniversary in 2016! Blue Man Group is comedy,theater, rock concert and dance party all rolled into one. This wildly popular phenomenon delivers an outrageous, multi-­sensory experience you’ll never forget. Don’t miss the show that has captivated 35 million people worldwide. Blue Man Group – enemy of monotony, remedy for boredom, promoter of overjoy and elation! For their 25th, they embarked on a World Tour in March, launched their third album, THREE, in April and will release their first ever book, Blue Man World, in October. I recently had the chance to take my family to the circus and it was the first time I had been to see it in about 30 years. The last time I saw a Ringling Brothers and Barnum & Bailey production was with my parents, brother and sister in Boston. My brother was really little at the time (maybe 4 or 5) and at some point during the show a clown was shot out of a cannon. The loud noise sent my poor little brother in to hysterics so badly, that we all actually ended up having to leave the show. He just wouldn’t calm down until we left. But such is life, right? 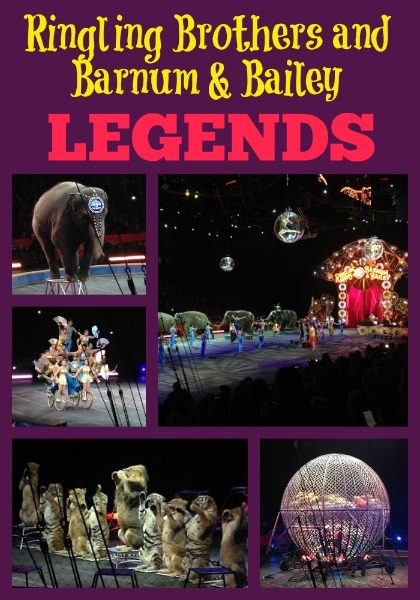 Anyhow, when I found out that Ringling Brothers and Barnum & Bailey LEGENDS was coming to the TD Garden in Boston, I was excited to take my kids. I just knew that they would love the show and I was right. Hear ye, hear ye! It’s that time of year again. For two months every fall, you can travel back in time at King Richard’s Faire in Carver, MA. 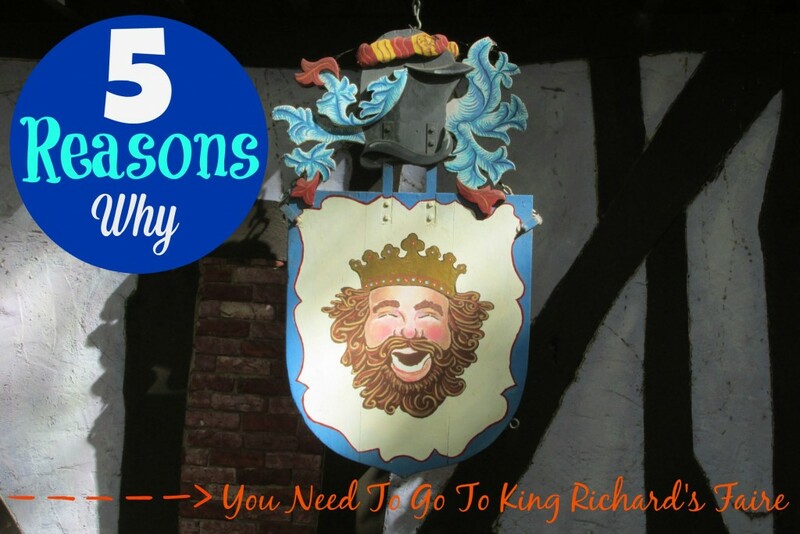 Spread out over 80 acres of woods, King Richard’s Fairs is the place to be if you want to fully immerse yourself into a day in the life of someone back in the 1500’s. **Disclosure: My family and I received complimentary admission to King Richard’s Faire in order to tell you about our experience there. All opinions are strictly my own and we not influenced in any way. Cirque Éloize iD Blew Me Away (In a Very Good Way)! If you have ever heard of a “Cirque” show, you probably have an idea of what to expect during a show – especially if you watch America’s Got Talent. But did you know that there are different “Cirque” groups? Up until last week, I had no idea. We’ve all heard of Cirque du Soleil, but for the last 20 years, Cirque Éloize has been taking people by storm in more than 440 cities around the world. Cirque Éloize was founded in Montreal in 1993, over a decade after Cirque du Soleil and for the month of August, Cirque Éloize’s iD is playing at the Fox Theater at Foxwoods. Cirque Éloize’s iD blends old-school acrobatics with street dance and hip hop. I got a chance to see the show last week and trust me, it’s not like any circus you’ve ever seen before. But before I tell you what I thought of the show, I wanted to share a little bit about a fun opportunity I had the afternoon before the show. If you follow me on Instagram, you may have followed along with the fun last Friday when I joined several other local bloggers for an exclusive behind-the-scenes blogger workshop with some of the cast members of Cirque Éloize’s iD. Recently my husband, Chris, and I had an oh-so-special night. You know what I’m talking about – the kind that doesn’t involve kids. That’s right, we got to go out on a date. Alone. Without children. Since he and I both love a good mystery, we decided to go to a murder mystery dinner show. As far as I’m concerned, you can never go wrong with a little mystery, intrigue, and murder. **Disclosure: I was provided complimentary tickets to the show thanks to Vimbly in order to facilitate this post. All opinions expressed here are strictly my own and were not influenced in any way. We ended up choosing to go see the Crime and Pun-ishment Interactive Dinner, which is put on by The Murder Mystery Company at the Sons of Italy in Quincy, MA. Disney On Ice Presents Worlds of Fantasy Was So Much Fun! Experience a magical Disney fantasy live on ice! Rev up for non-stop fun with four of your favorite Disney stories at Disney On Ice presents Worlds of Fantasy Presented by YoKids Organic Yogurt. Thrill to high-speed stunts as Lightning McQueen and Mater race across the ice like you’ve never seen before! Dive into The Little Mermaid’s enchanting undersea kingdom and enter the mystical world of Pixie Hollow with Tinker Bell and the Disney Fairies! Join the Toy Story gang who are back in town to take on their most daring adventure ever! From wheels to waves, playtime to pixie dust, your family’s favorite Disney moments come to life at Disney On Ice! Last Friday night, my family and I headed into Boston to see Disney On Ice Presents Worlds of Fantasy at The Agganis Arena at Boston University. It’s been a few years since we had been to a Disney on Ice production, so we were excited to see the show. During the show, we had a chance to go through four “worlds” and we got to see the high speed version of four classic Disney stories. When I was in the 4th grade, my class took a field trip into Boston to see a matinee performance of Boston Ballet’s Nutcracker. Being nine years old at the time, I basically had no appreciation for what I was watching. 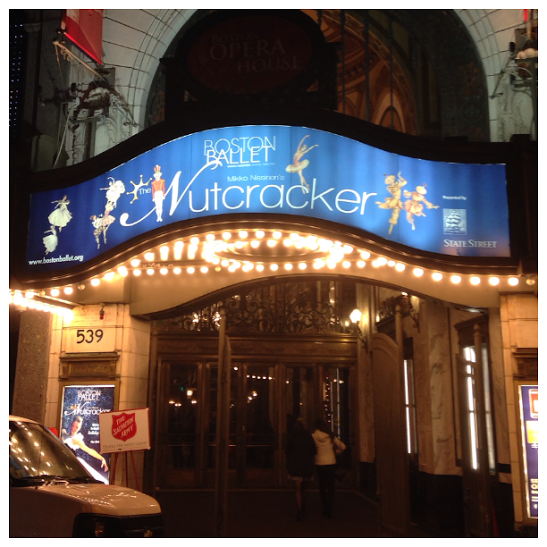 Fast forward to the present when I had a chance to go see this years production of The Nutcracker at The Boston Opera House and got a second chance to take in the show – as a “grown up” with a whole different outlook on the show. My husband, Chris, had never even seen The Nutcracker before, so I knew he was going to be in for a real treat. The show itself was absolutely breath taking. All of the dancers were so graceful and they all did such a great job of telling the story through dance. Chris and I sat there in awe throughout the entire show. Back in March I chaperoned my youngest son’s class field trip to the aquarium. On both the bus ride to the aquarium and the ride home, all the little boys talked about was wrestling. John Cena this and Kane that. It was really cute, but prior to that, I didn’t realize that my son knew anything about any of the WWE wrestlers. When we got home that night I asked him about it and he sure schooled me. He knew them all and talked my ear off for a good half hour about the WWE and mostly John Cena. 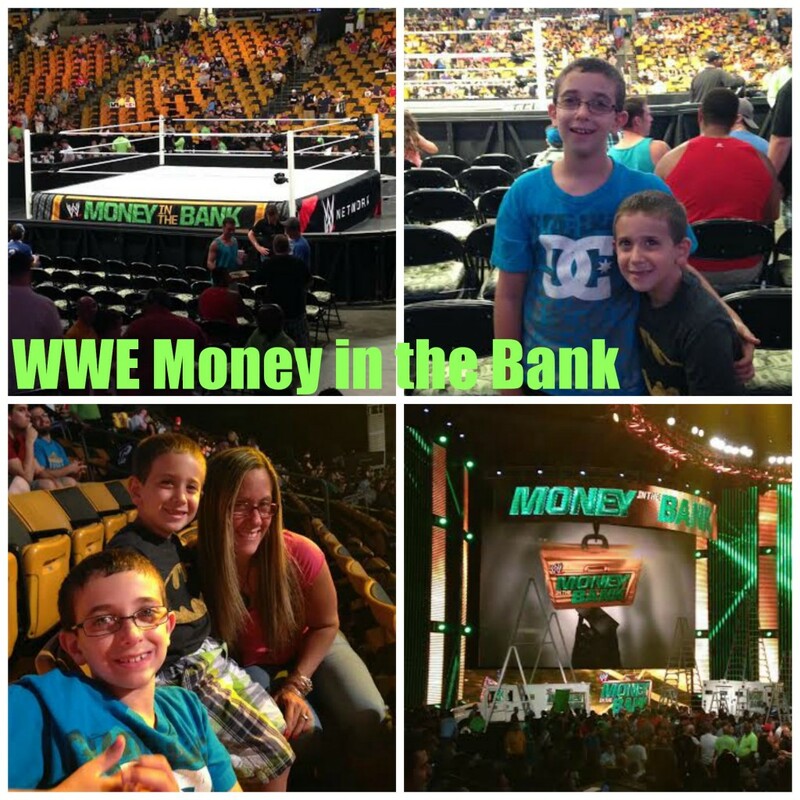 When my family received an invitation to attend the live pay-per-view (PPV) event, Money in the Bank on June 29, 2014 at the TD Garden in Boston, I knew it was going to be the highlight of my boys summer! We arrived at the show about an hour before the event started and my boys were super excited when we got there and they saw the ring all set up! If there is one thing you can count on in Boston, it’s that the Big Apple Circus comes to town every spring. 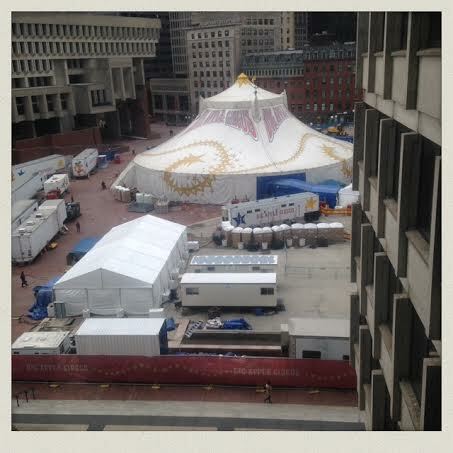 The circus is set up right on City Hall Plaza under a big old tent. We’ve gone to the circus a few times in the past, but when I heard several of my blogger friends were giving away family four packs of tickets to the circus, I entered a few of their giveaways and wouldn’t you know – I won one of them. My hubby, Chris, works in the Federal Building right next door to where the tent is set up, so he was kind enough to snap this picture of the view from above. Have you ever seen the Blue Man Group? I recently had an opportunity to go see the show with my family and I don’t even think words can express how much we loved it. I was super excited to take my family to see it. I had seen the show three or four times in the past, but it was the first time seeing the show for my husband and boys. Knowing them, I knew it was going to be a hit with all three of them and I was so happy that they all liked it even more than I thought they would. 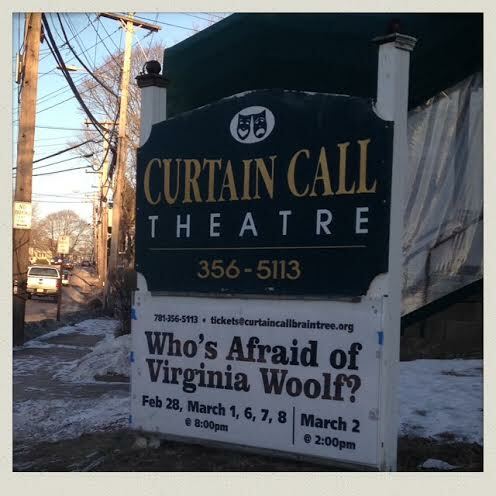 Last weekend Chris surprised me with tickets to a show called Who’s Afraid of Virginia Woolf? at a small community theater called The Curtain Call Theater in Braintree, MA. I had never heard of this show before (and neither had he), but after reading the description of the show, I was excited to see it. I was even more excited to check out the theater, though. I had never been there and honestly some of the best shows I’ve ever seen have been put on at small, local theaters like this. This past Friday night, Chris and I went down the cape (Cape Cod) for a date night. Last fall we had seen a murder mystery put on by the Mystery Cafe in Boston and we absolutely loved it. Chris is on their email mailing list and when he got an email about their newest show, Hell of a Kitchen, he bought us tickets almost immediately. Not only did we have a blast at the last murder mystery dinner we went to, but we love the show Hells Kitchen, so it was kind of a no brainer. The recipe called for great chefs and great food for a great cause, but MURDER got into the mixing bowl! Rae-Rae Ray hosts a charity cook-off with the crème de la crème of the cooking world. Guy Ferrari, Merrill La Gasseous and Marta Stewing lead their handpicked teams and whip up hilarity and mayhem. They all love charity, and they love winning even more. But who was cutthroat enough to slice and dice the competition? Make a reservation and dig in to Mystery Cafe’s plateful of delicious mystery. Savor the clues and watch as the killer gets their just desserts! This isn’t just one heck of a good time…it’s a Hell of a Kitchen! Sounds fun, right? So we dropped off the boys and headed to the other side of the bridge for our big night out (FYI, I only live a few minutes from the bridge, so it’s not like we had to travel far). The show was held at the Belfry Inn & Bistro in Sandwich. Yes, sandwich is the name of the town. Chris and I spent the weekend in Newport, RI. Whenever we get a chance to go away without the kids, that’s usually where we end up. It’s only about a 45 minute drive from where we live and there are so many cool things to do in Newport – including some really good eating establishments (and you all know my love of eating), tours of the famous Newport Mansions and tons of shops to visit. Plus, we get wicked cheap lodging at the Naval Base down there because Chris is in the military, so it doesn’t cost us an arm & a leg for an entire weekend away. Anyways, we were looking for something different to do while we were there last weekend and about a month go, I did some snooping around and came across a link to this place called The Firehouse Theater. They have live improv comedy shows there every weekend featuring a comedy troupe called the Bit Players. I’ve seen live improv before, but Chris hadn’t, so we decided that we’d check it out. When we got to the theater, we checked in at the desk and then were able to seat ourselves once we paid. I’m not positive, but I’d guesstimate that there are somewhere around 75 seats in the theater and we picked seats right in the front row since we were there nice and early. Here’s a picture of the stage. On Sunday night I went into Boston with some friends to see The Package Tour – Boys II Men, 98 Degrees and Boston’s own New Kids on the Block. I first saw NKOTB at the old Foxboro Stadium (the old stadium that my beloved New England Patriots played in before they built the snazzy new Gillette Stadium that they play in now) when I was in the ninth grade. So, if you’re better at math than I am – we’re talking a little over 20 years ago. Imagine being a girl at the ripe old age of 14 getting to see her biggest crush…..let’s just say that at the time, it was pretty much one of the greatest nights of my life. Here is is 2013 and there were more girls there with crimped hair than should have been (for the record, that number should have been a big fat zero). I understand that that NKOTB were big in the late 80’s/early 90’s, but that doesn’t mean that anyone needed to dress up like they were stuck in that time period. You know what I mean? Besides, who the hell even still has their crimper from 1989 anyways? Oh, and there was this chick with a banana clip. And again, I have to ask – who still has one of these in their house?